Why can't we just pressure Gearbox to give us what DNF was supposed come with all along already? Maybe do a petition or something "We want the mod tools to fix the mistakes". This if anything could now work in favor of Duke Nukem as name, because due to what DNF ended up being, general gamer now pretty much hates duke. What better way to restore duke than have the community get free hands on fixing the original long waited game? Then by the time a new official Duke game comes out, most people remember how people fixed DNF with the Duke's Enormous Tool. Honestly at this point there would be no kinda disadvantage to Gearbox if they gave us the editor, because the game is passed it's time now. So what is the loss if they gave us the tool which 3D Realms promised us anyways? i think the reason they never released anything is that the whole thing is so fucked that they are ashamed to release anything. i am also pretty sure all they want is that people forget about dnf at this point. These actions will have no effect. There's only been one petition/movement/whinefest that I can recall that has actually had any sort of impact, and that's been the movement to bring back Surge. Spessu, are you a modder, that you would want the mod tools to be released? Or are you hoping other people will mod the game? I don't think any serious modders would spend time on this game even if the tools were released. Since I don't have DNF I wouldn't really want an editor to come out. We might lose more of the modders or devs from here and we can't afford that. After the untold hundreds of hours I have already spent modding Eduke32 and knowing how many other future projects I am helping with, I would not enjoy seeing this community fade away. I know this might sound a little selfish but thats my opinion. Nobody gives a crap anymore. We were promised mod tools for this game from day one. They witheld them and never had the decency to even mention why. The reason was that we'd make something that would show them up? Screw them. The only good thing about it would be making a modern Duke mod without having to rip your hair out dealing with the shortcomings of EDuke. What's up with this question? No i am still fairly new to modding but i am slowly getting into it more and more. Like i've made some maps with mapster32 and doombuilder. Also plan on learning ue4 since it's very powerful and more accessible than say, UDK was.. Pretty sure the release of the modding tools wouldn't go to waste, because DNF was waited for so long and what a disappointment it ended up being. Very stripped and dumbed down :/ If it for some reason was waste to release them, why is it a problem to you? You are not gearbox so it doesn't basically in anyway even affect you. You can be damn sure that if the tools were available, i would be using them. I believe it would be about similar to GTKradiant in how complex it is. The reason George Broussard decided not to include the editor in the game is that it would have not been possible to use it on consoles. Which is stupid, but here we're talking about a person who was incapable to release a game for 14 years and sold two perfectly good IPs (one of which is now dead because of corporate greed) to throw good money after bad. It seems the newer the shooter, the less we see lots of user content anyway. Granted there's more to it than that I'm sure, but Half-Life 1 had tons of great great mods, Half-Life 2 felt like a pretty slow mod scene in comparison. Even though it's a much more impressive engine. Granted there are lots of mods for recent RPGs, more thinking about the newer FPS games. I'm sure there are some exceptions though. Personally, I would've loved to play any DNF user content. ...Half-Life 1 had tons of great great mods, Half-Life 2 felt like a pretty slow mod scene in comparison. Even though it's a much more impressive engine. I think that's partly why. Older engines are easier to make lesser assets for, and so more people do it. No one can actually tell, since the tools are not there. the link is a snap shot from 2012 from this forum. It shows the general frustration of the fans about the never to be issued tools. See Lack of DNF Mods and Editing. If you are a Duke fan, do whatever you want in EDuke32/Mapster32. If you love the newer game engines like Unreal, and you wrote you are learning about it, learn and join a team and explore the endless possibilities. "Discuss the DNF modifications that never were and the editing issues that will never be." Hahahaha, I don't know why I find that so funny. It's not obvious. There could be a million reasons why not. They could feel embarrassed about others making more polished stories than what they made. There could be problems with the mod tools and they didn't have the time or resources to pay someone to clean them up for public consumption. There could have been a dictate by 2K against mod tools as to not interfere with DLC sales. Nobody has said a word though. Not a "Sorry, no mod tools because..XXXXX". Nothing. Who knows, and frankly after nearly twenty years it was or is time to move on. 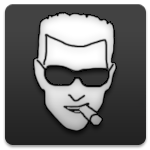 The only legacy of Duke Nukem Forever, are disappointed fans. Try not to add to that huge number. There also would be no advantage over Doom 4. Modern engines require modern sized teams, software and hardware. And if one rips DNF apart (for study), unless one has an IQ over 200, the game is a mess without inside guidance. I can't see neither Gearbox or the original team giving that. And you need to be a true blue fan(s) to make a TC or modification for free. Because at this point people generally see Duke as dead IP, so in giving the mod tools would be a step on bringing Duke back. I'd bet on them releasing a new Duke game in an attempt to "bring Duke back" before they would ever release mod tools for DNF. Maybe when they make this new duke game they will release modding tools for duke forever or maybe even there new duke game. It seems like DOOM 4 is getting the dnf treatment of no real map editor coming and the fans are extremely un-happy happy about it. I really hope Gearbox sees this and use it as an opportunity, to release the damn DukeEd and take the first step of bringing Duke back/fixing the reputation of the series.. They are releasing an editor for modders to mod look at the e3 trailer on youtube! Snap map is not a proper map editor. Well, we (duke4 admins, not me)) could sell this trademark phrase to the Doom 4 fans. It seems like DOOM 4 is getting the dnf treatment of no real map editor coming and the fans are extremely un-happy happy about it.http://www.pcgamer.com/doom-will-not-get-mod-support-in-addition-to-snapmap/I really hope Gearbox sees this and use it as an opportunity, to release the damn DukeEd and take the first step of bringing Duke back/fixing the reputation of the series.. I dig how Duke 3D got a shoutout in that article. Snapmap looks like it will be fun to mess with and it's cool that they included it, but it's lame indeed that they're not including the full tools for modders/mappers. I heard that as well. Not sure if it was a video feed from Quakecon or something else. It's Snap Map only, even for PC. My guess is, after John C. left, so did full support for the modding community. Bye bye, id. You've lasted a long time, but your time has finally come. Considering the Snapmap is for PC and all of console versions of DooM 4, I'm fine with it, just feel meh. Not a huge surprise, the mod tools for Rage didn't come out for, what, a year after the game did, and no one touched it or made anything worthwhile. I can see why they are trying something else, and at least Snapmap looks cool and is SOMETHING. Plus, anything you make on one console/computer, you can upload it and download it to a different one. I'm sure that's because the hype for the game died down after 1 year. Tools are meant to be released WITH the game while people are still excited.